The machining workshop at HEIDENHAIN’s North American headquarters in Schaumburg, IL, is often in demand to showcase precision measurement at its finest. 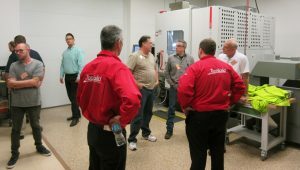 Utilizing HEIDENHAIN’s components on an advanced machine tool, visitors from all over the world regularly come in to see it in action, and April 26 was no exception. 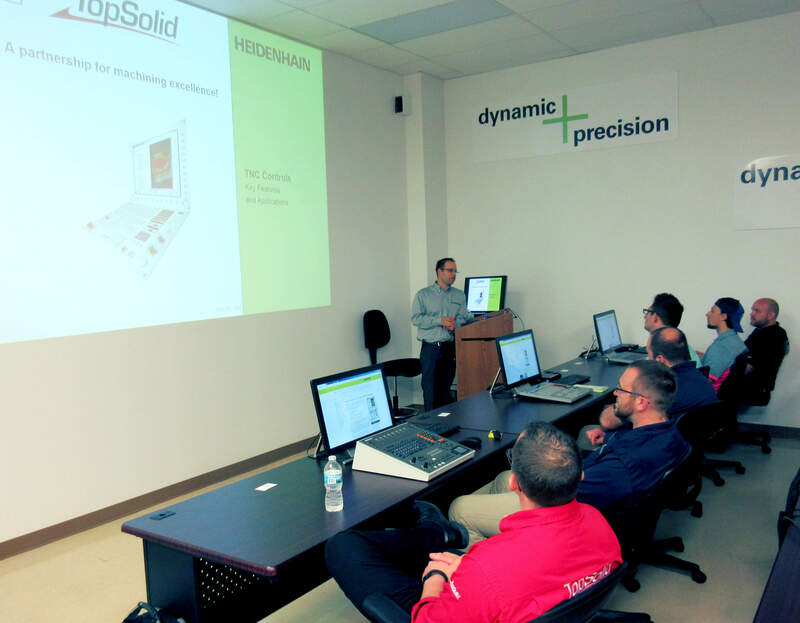 This time, staff from Missler Software Inc. presented their TopSolid CAD/CAM/PDM software product in conjunction with HEIDENHAIN’s TNC 640 five-axis contouring control capabilities to Missler’s visiting group of workshop attendees. During the visit, over 25 people witnessed a simple block of metal turn into an intricate part during a 9-minute automated machining session. 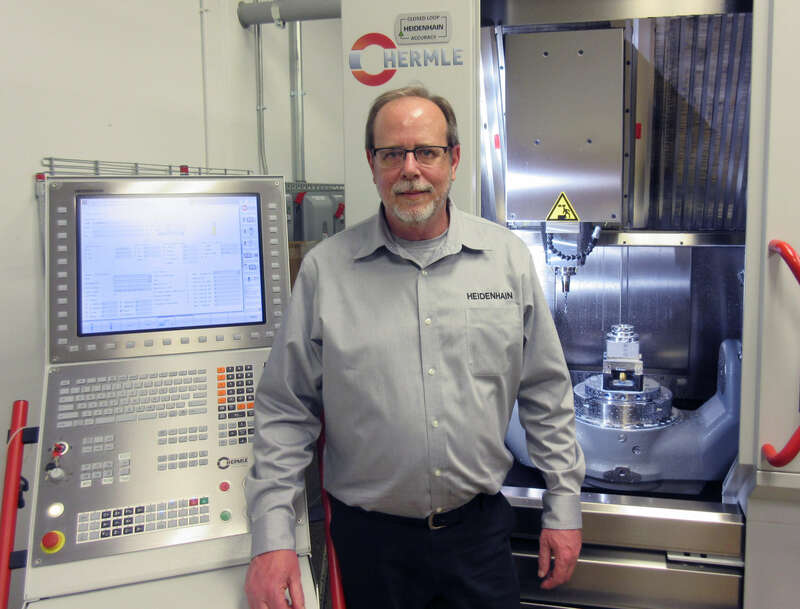 “This test piece was developed using TopSolid software on our machine, and programmed to use 3-, 4- and 5-axis machining features,” explained Julian Renz, HEIDENHAIN’s TNC Product Specialist. Genc explained that this was the first afternoon of TopSolid’s annual 3-day workshop. This time they highlighted over 90 new features of their software, and were pleased to bring their visitors to see it in use on an actual machine. After the 9-minute machining event, visitors were given presentations by HEIDENHAIN and TopSolid. HEIDENHAIN shared the latest information on controls that can utilize TopSolid’s software, highlighting the TNC 640 control as seen. The TNC 640 is HEIDENHAIN’s premier 5-axis CNC milling control with mill-turn functionality. 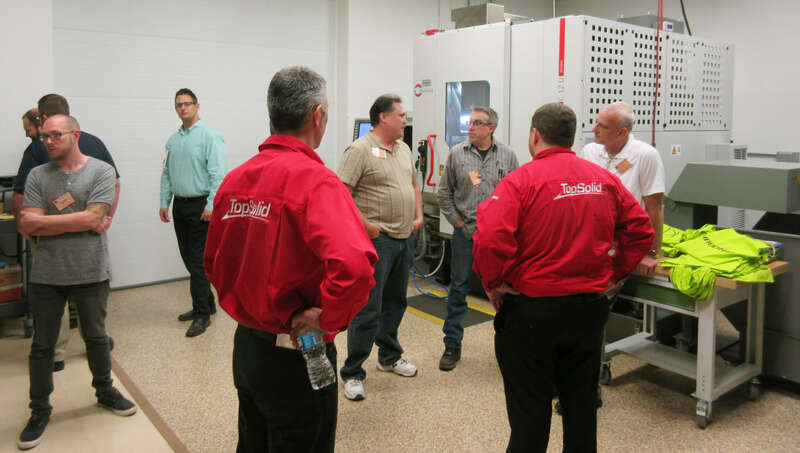 TopSolid technical experts followed up with a presentation covering 5-axis machining. 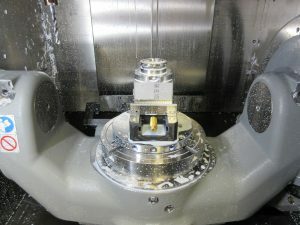 This presentation showed users how simple it is to work in 5 axis with a focus specifically on how 5 axis positional milling works. The presentation also covered the different varieties of 5-axis machines that exist and discussed the strengths and weaknesses of each. Combined with the presentation from HEIDENHAIN, TopSolid customers were able to really understand the power of 5 axis, especially when using great technologies like TopSolid and the TNC 640 control by HEIDENHAIN. Once the presentations and the lunch were over, visitors returned to the Embassy Suites near TopSolid’s North American headquarters in Lombard, IL, where the remainder of their workshop was held.